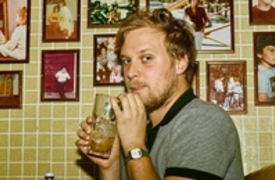 John Early is a comedian and actor who wrote, created, and starred in the critically acclaimed miniseries 555 for Vimeo with frequent collaborator Kate Berlant, directed by Andrew DeYoung. He also wrote, executive produced, and starred in his own episode of Netflix's THE CHARACTERS. John plays Elliot in the critically acclaimed TBS series SEARCH PARTY and recurred on the WET HOT AMERICAN SUMMER reboots for Netflix. Other TV credits include AT HOME WITH AMY SEDARIS, HIGH MAINTENANCE, LOVE, PORTLANDIA, 30 ROCK, BROAD CITY, DIFFICULT PEOPLE and 2 DOPE QUEENS. He has also lent his voice to BOB'S BURGERS on Fox and ANIMALS on HBO. John recently wrapped production on LATE NIGHT with Mindy Kaling, Emma Thompson and John Lithgow, as well as GOOD POSTURE with Emily Mortimer. He can be seen in the features THE DISASTER ARTIST opposite Sharon Stone, BEATRIZ AT DINNER, OTHER PEOPLE, NEIGHBORS 2, FUN MOM DINNER and FORT TILDEN. While in New York, he was an Artist in Residence and Comedy Curator at Ars Nova, where he hosted the variety show Showgasm. He performed his solo show Literally Me (4 time New York Times Critics' Pick) to sold out crowds at Joe's Pub and The Bell House, and co-hosted a weekly stand up show at Cake Shop. John currently hosts a monthly variety show in Los Angeles at The Satellite. He has performed stand up at various comedy festivals including Montreal’s Just For Laughs, Bonnaroo, South by Southwest, Pemberton, Treasure Island, Outside Lands, Riot LA, and Festival Supreme. John was also named one of Variety’s Top Ten Comics to Watch in 2017. He was born in Nashville, Tennessee and is a graduate of the Atlantic Acting School at Tisch School of the Arts NYU.